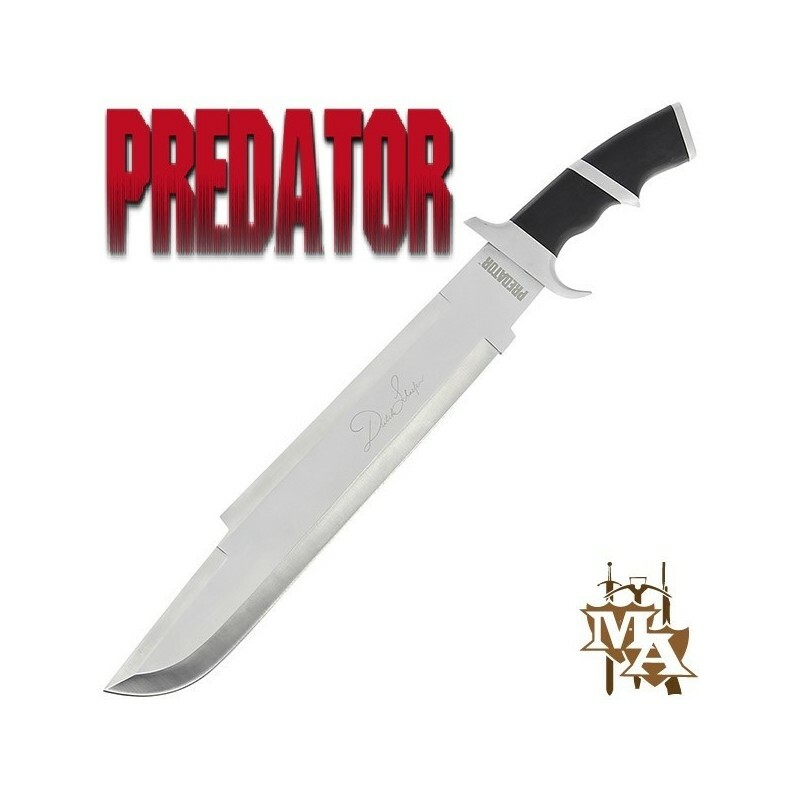 20'' Predator Style Movie Replica Knife - Master of Arms LTD.
We are proud to offer an accurate reproduction of the knife used throughout the Predator movie. 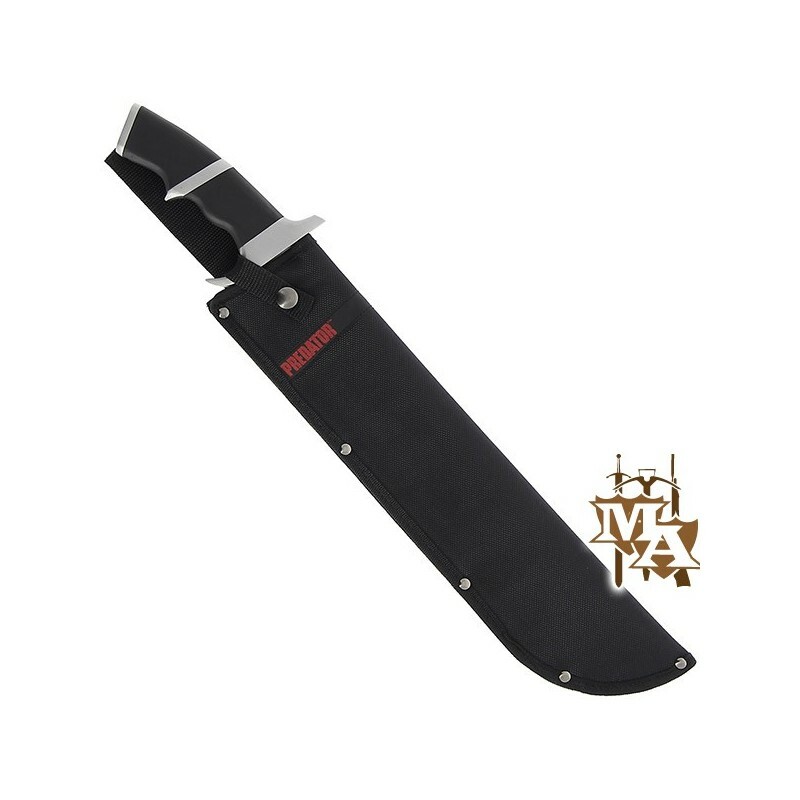 Using a screen-used knife for reference, we have been able to recreate this impressive machete style knife exactly as carried by Arnold Schwarzenegger as Major “Dutch” Schaefer and the rest of his specialist team. 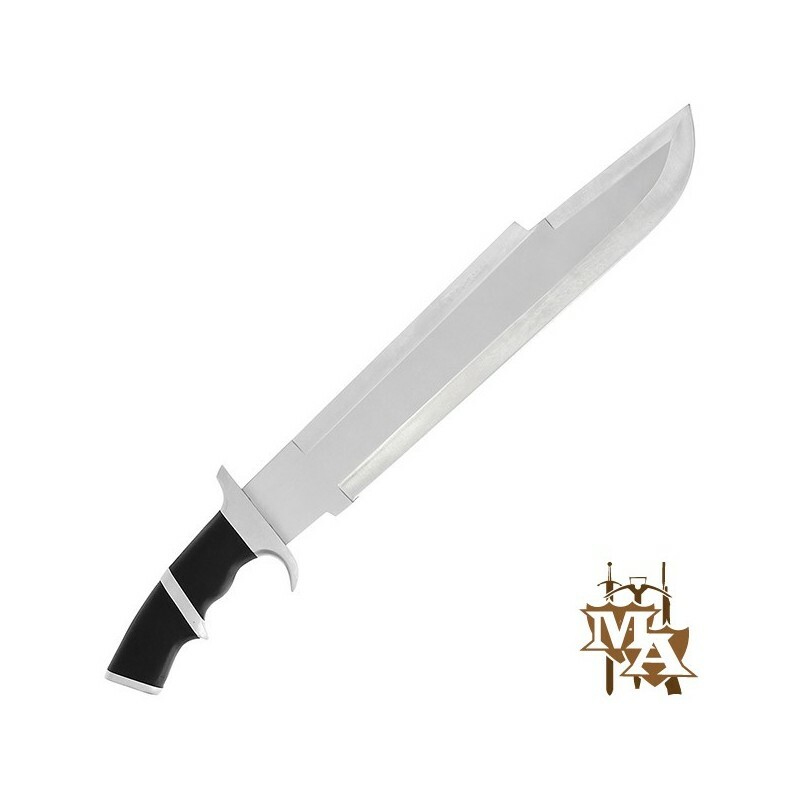 This amazing prop replica measures an impressive 20” long and is constructed from the finest materials. 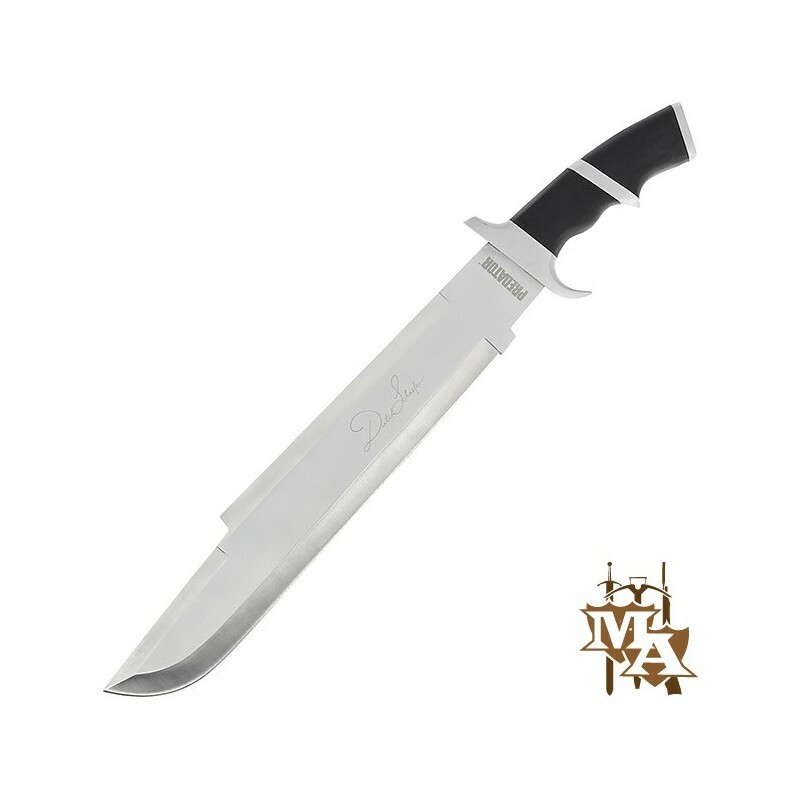 It has a 14.75" stainless steel 0.25" thick blade with Dutch Schaefer signature. Handle is 5.75" overall with a black wood with matte finish, steel guard and pommel. It is also supplied with a nylon sheath with a belt slip and 'Predator' stiched in red on the front of the sheath. Top quality stainless steel 1/4" thick blade.